So ask the same question of yourself. Is using Facebook, LinkedIn or Twitter moving you forward with your goals for business? My answer would be a resounding YES, but I’m not surprised by Chris’ post because it makes sense. 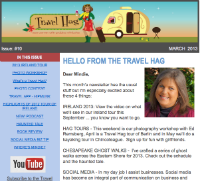 Chris is using Blogging and Email Newsletters for MARKETING – because that’s what Chris does. These are platforms where you can “ask for the order” where asking for the order can appear offensive in social media platforms like twitter and Facebook. Facebook, Twitter and LinkedIn move me forward because I try use them for NETWORKING – not marketing specifically. If I do “ask for an order” – that is for my connections to attend an event, buy a book, have me speak at a function … those requests are sparse compared to my interest in others on the networks (or at least that’s my goal). Networking makes a huge impact on my business – thus the huge impact on “moving me forward” in my overall business goals. I’ve become a magnet for opportunity with scores of speaking requests, blog post requests, article requests, job opportunities and my book sales tripled the projections set by the publisher. All of these things add up to money – cash – payment. Because of the strong connections I’ve made with people on Facebook, LinkedIn and Twitter, opportunities have flowed (maybe) gushed toward me. Hello Dear, are you actually visiting this web site daily, if so afterward you will absolutely obtain nice know-how.